NEW YORK, NY – Today, Teamsters Joint Council 16 President George Miranda cheered Governor Andrew Cuomo’s veto of A7753/S4975, legislation that would have eliminated workplace protections for newspaper delivery drivers. 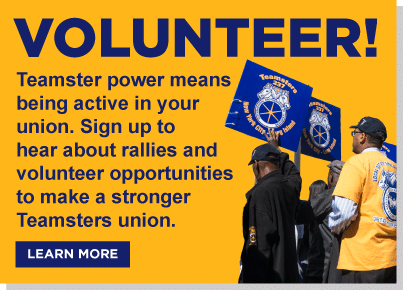 Teamsters Joint Council 16 represents 120,000 workers in greater New York, including many of the state’s commercial drivers. Miranda released the following statement. “Governor Cuomo is once again standing up for New York’s working families. This veto protects New York’s best-in-the-nation safeguards for commercial drivers against being misclassified as independent contractors. “The Commercial Goods Transportation Fair Play Act, signed by Governor Cuomo in 2014, established a uniform test for whether commercial drivers are employees or independent contractors. It ensured that employees would get the unemployment insurance, workers compensation, and other protections required by law. It also prevented nefarious employers from skirting payroll taxes and protected upstanding businesses from unfair competition. “The ink was barely dry on Commercial Goods Transportation Fair Play Act before anti-worker forces began trying to add loopholes. “Employee misclassification is a growing problem across the country, but New York continues to set the standard for protecting workers from this practice.